Life under the palms at the Sun Island Resort and Spa moves at a different pace. 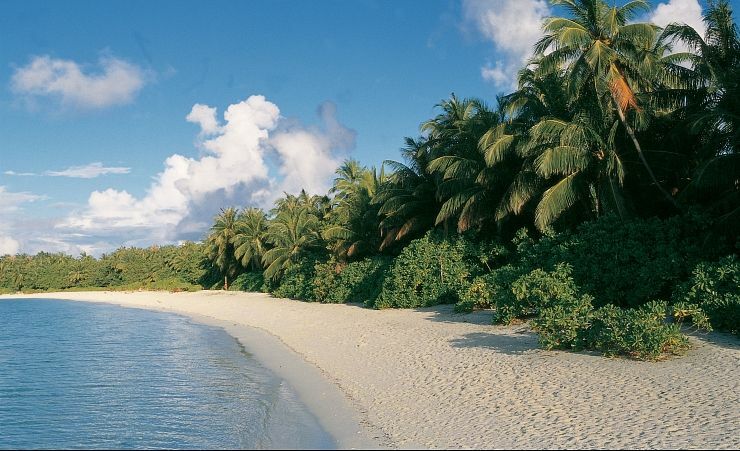 Here, the important things are the sea and the sand, the food, the company and the relaxation. 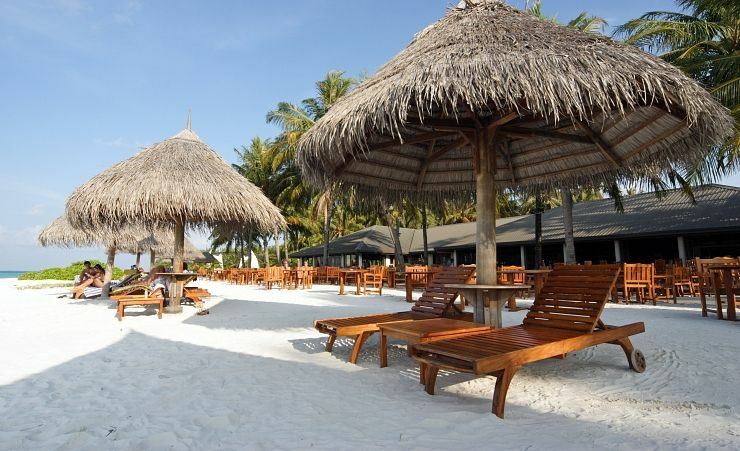 With such a spectacular location, wonderful restaurants and great service, it is supremely easy to relax here. 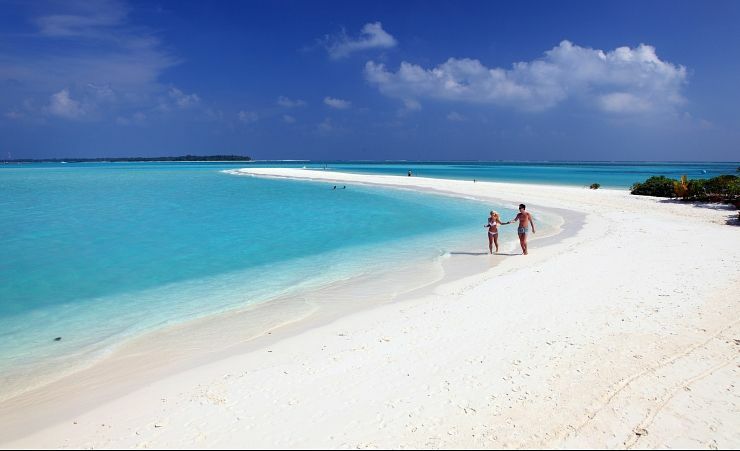 This is the largest of the Maldives holiday islands and it stretches for nearly two perfect kilometres. 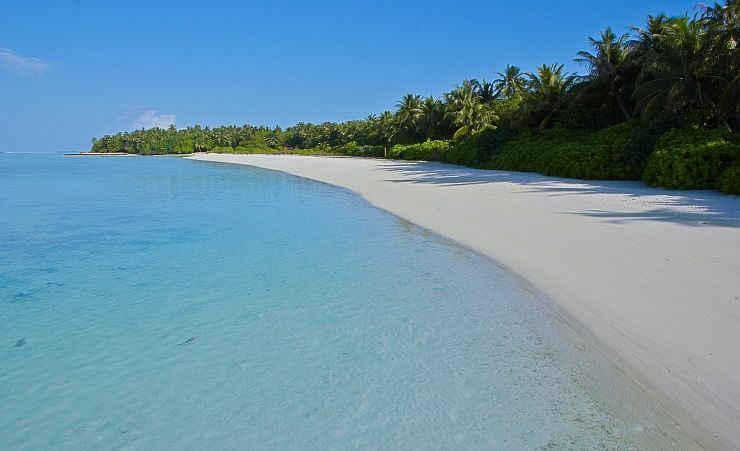 The island is dotted with lagoons and surrounded by white sandy beaches. 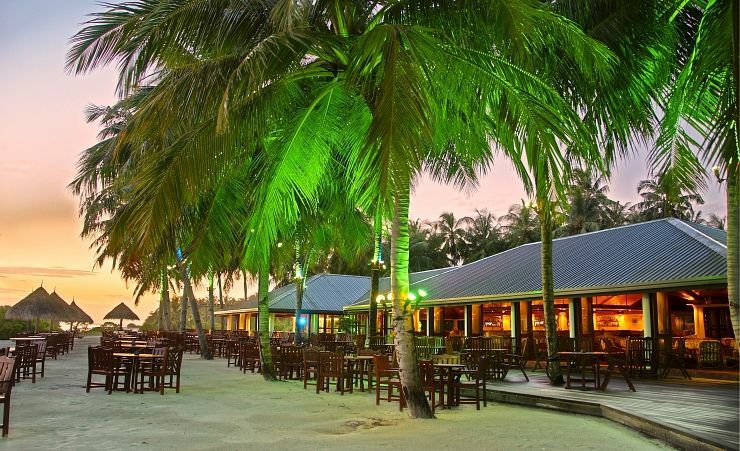 You can spend your days island-hopping, deep-sea fishing or relaxing in that special kind of Maldives way. 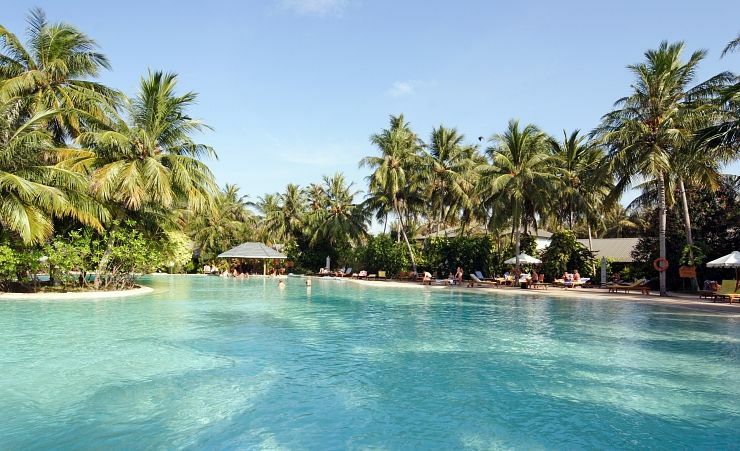 The Sun Island Resort and Spa gives you everything you need to make the most of your holiday. 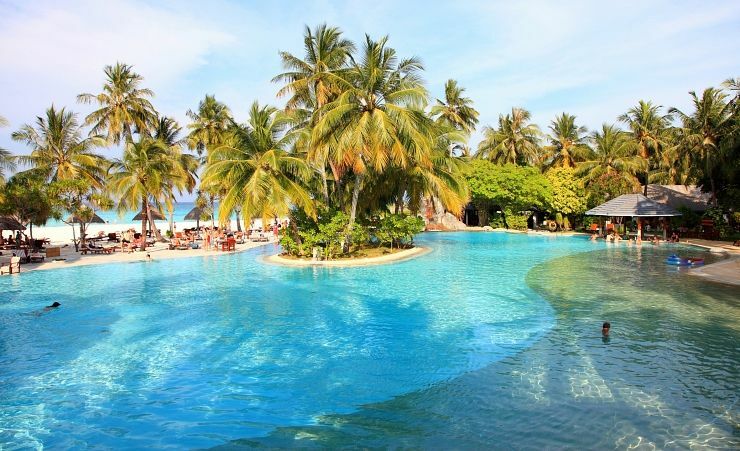 With its very own water sports centre and its diving centre, watery pursuits are inevitably popular. There's even a chance to feed the sting rays! The spa is like something out of a dream. Take the winding track through the trees to the glade and step into the leafy treatment room. 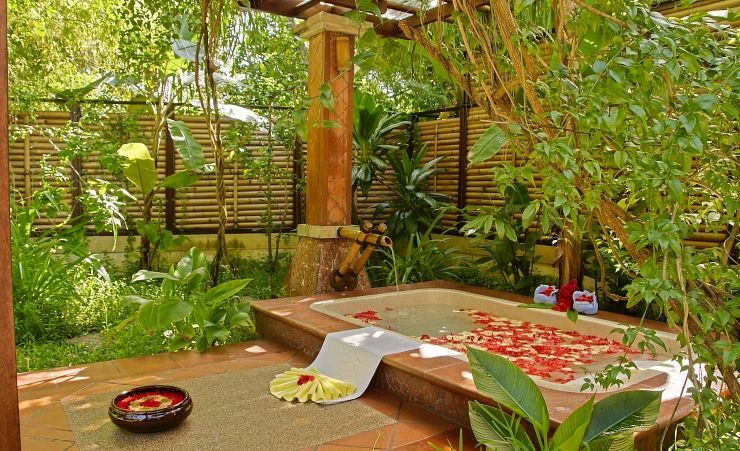 This is an Araamu spa, complete with Jacuzzi, sauna, steam bath and a wealth of invigorating and relaxing treatments. And the restaurants are an attraction in their own right. 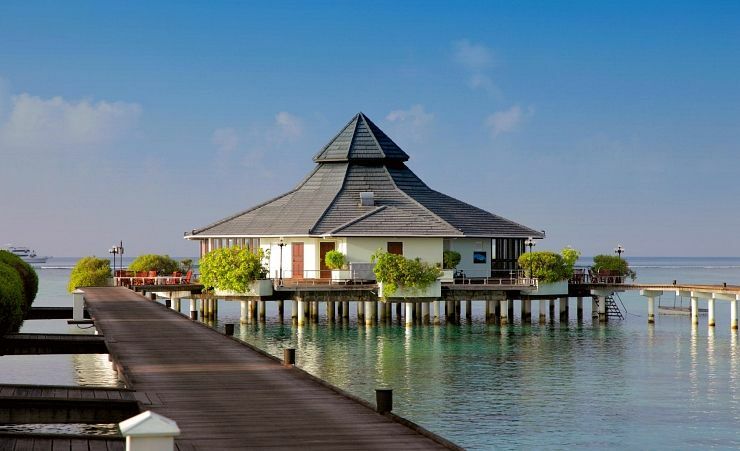 The speciality Thai Sun Star restaurant stands on stilts at the end of an ocean jetty. It's the perfect spot for a romantic evening meal as the sun sinks slowly over the water. Or try the innovative Zero Restaurant which promises a gastronomic adventure - wonderfully nutritious healthy food in the heart of the hotel gardens. 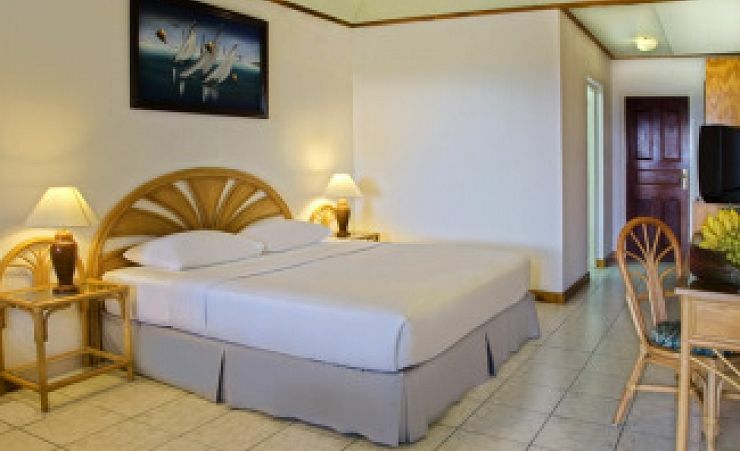 During your stay you'll enjoy your very own air conditioned beach bungalow, complete with private sun deck, as well as satellite TV, mini bar, and drinks making facilities. 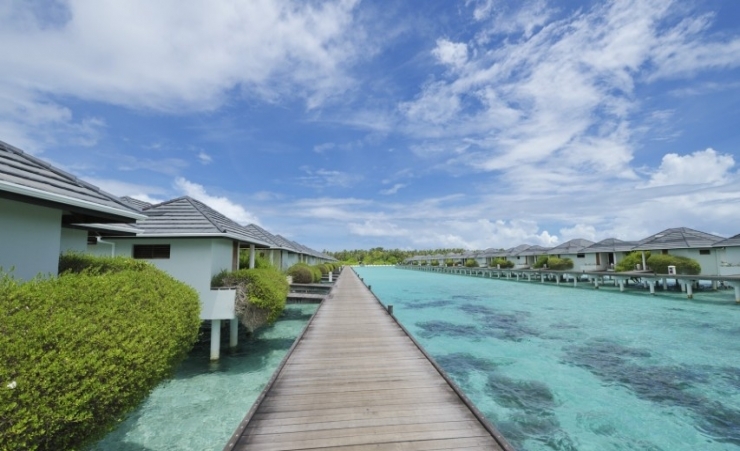 Or you might like to upgrade to a water bungalow. Just ask for details? To say it's breath-taking doesn't do it justice. 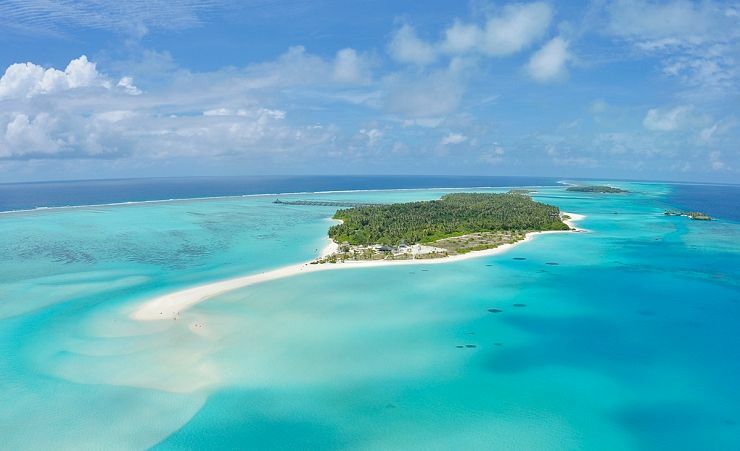 The Sun Island Resort and Spa - on the southern tip of the South Ari atoll - bathes under a warm sun, surrounded by palm trees and encircled by the azure waters of the Indian Ocean. 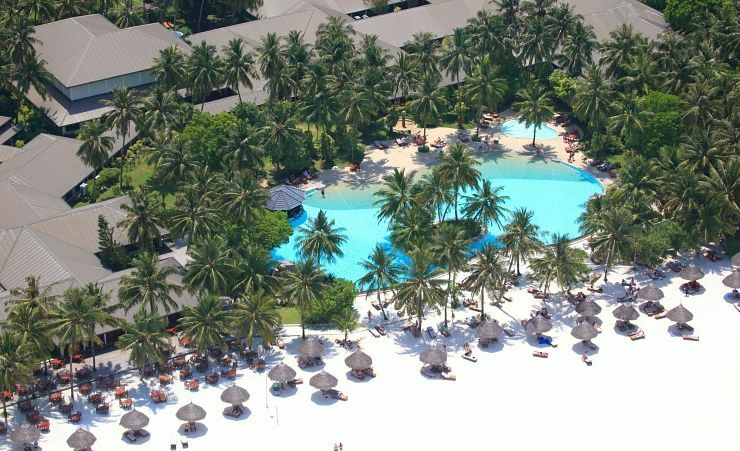 The Sun Island Resort is reached by a 30 minute flight followed by a 5 minute speedboat ride. Breakfast, lunch and dinner daily, afternoon tea & snacks, soft drinks and fruit juices, house wine, beer & spirits, tea and regular coffee, selected cocktails (served by the glass). Time and measurement stipulations apply. 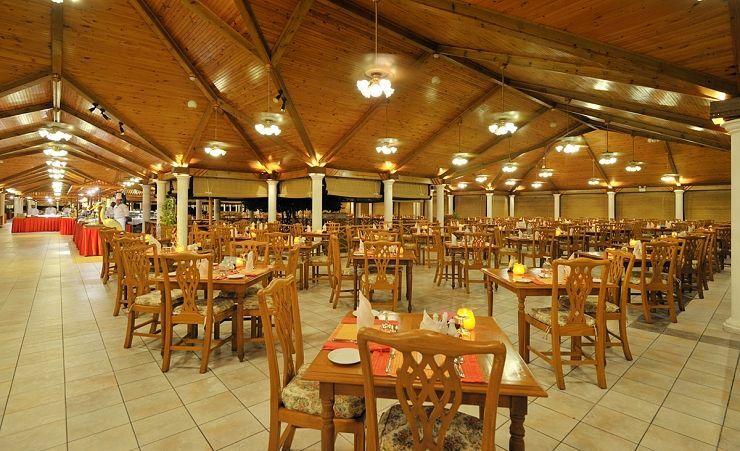 All meals are to be taken in the main restaurants, other outlets are available at a charge. Find out more about your accommodation and the in room facilities at the Sun Island Resort and Spa . With the beach at your doorstep and the ocean in sight, the Deluxe Rooms at Sun Island Resort & Spa offer a personal gateway to paradise. 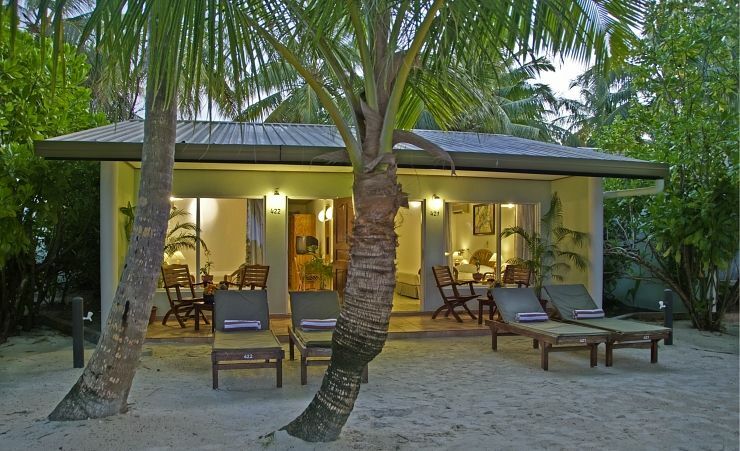 These Maldives family accommodations provide 21 metres/222 feet of space, and are equipped with modern amenities such as satellite television. Of course, with your own private veranda and dozens of onsite activities, checking your email might not be your first priority. 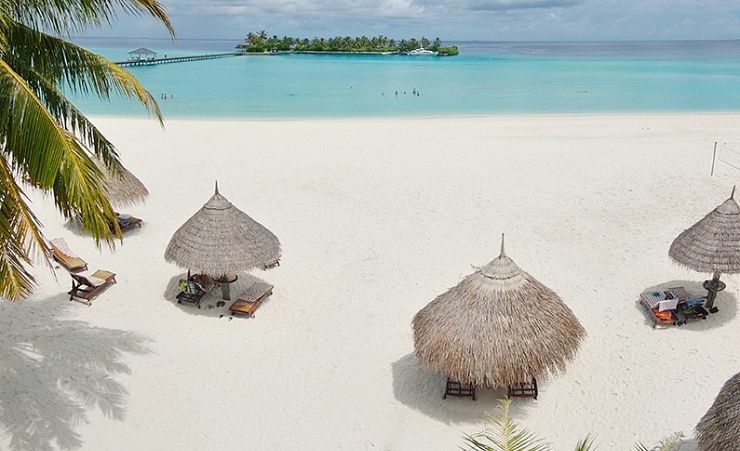 Escape to the fun and relaxation of our Maldives family hotel, where the promise of an unforgettable getaway is always kept. Max. occupants (adults + children): 2 + 2 Max. Adults: 3, Children: 2, Infants: 1 Max. extra beds: 1 bed(s). Double room rate based on: 2 Adults. 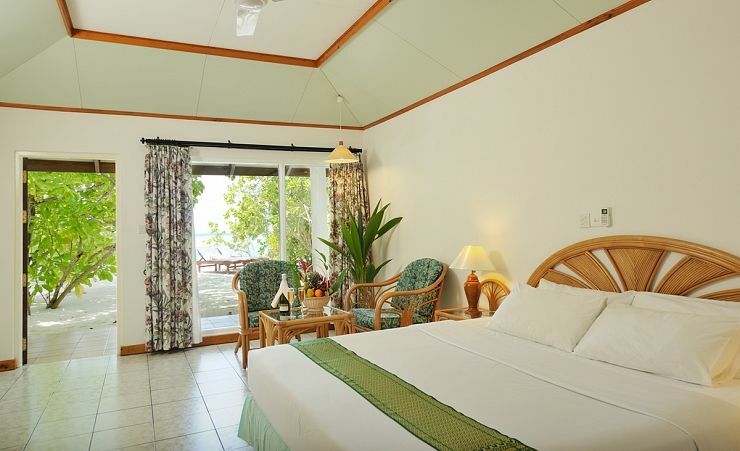 Upgrade to the increased comforts of the Super Deluxe Rooms at Sun Island Resort & Spa . 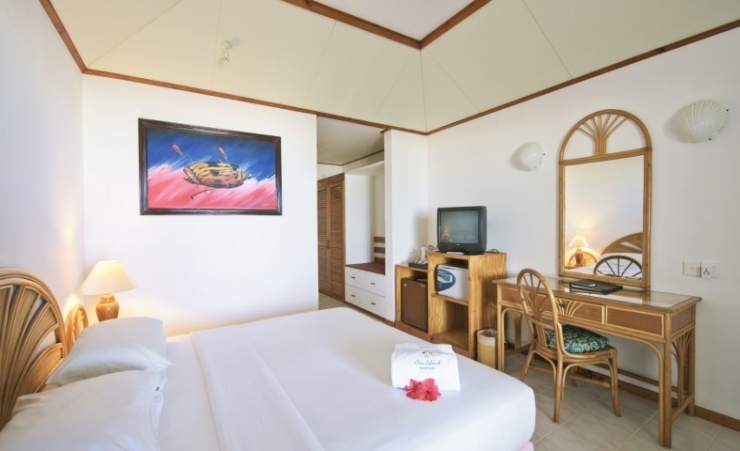 Spanning 21 square metres/222 square feet, our 218 elegantly furnished Maldives deluxe hotel rooms offer the convenience of en-suite bath and shower facilities, creating enhanced privacy for you and your family. 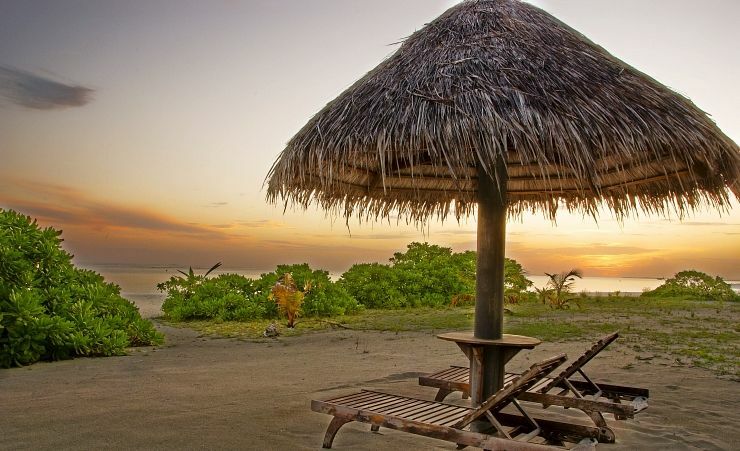 You’ll also enjoy satellite television, Internet access and a private veranda set directly along our pristine shoreline. 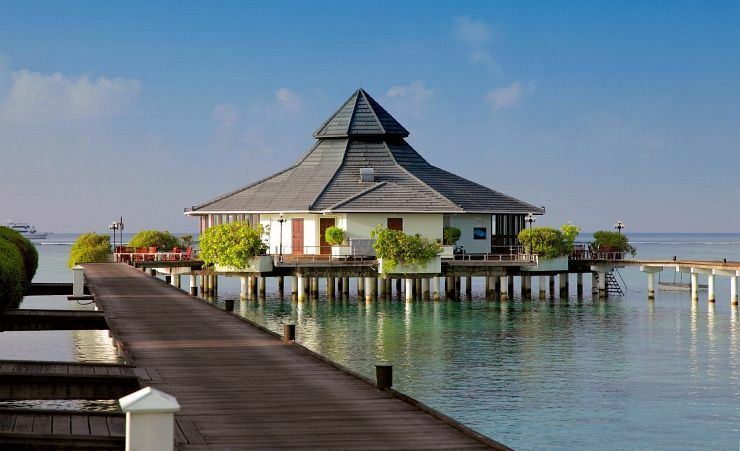 Check yourself into our deluxe Maldives hotel, and experience life as it’s meant to be lived. Max. occupants (adults + children): 2 + 2 Max. Adults: 3, Children: 2, Infants: 1 Max. extra beds: 1 bed(s). Double room rate based on: 2 Adults. 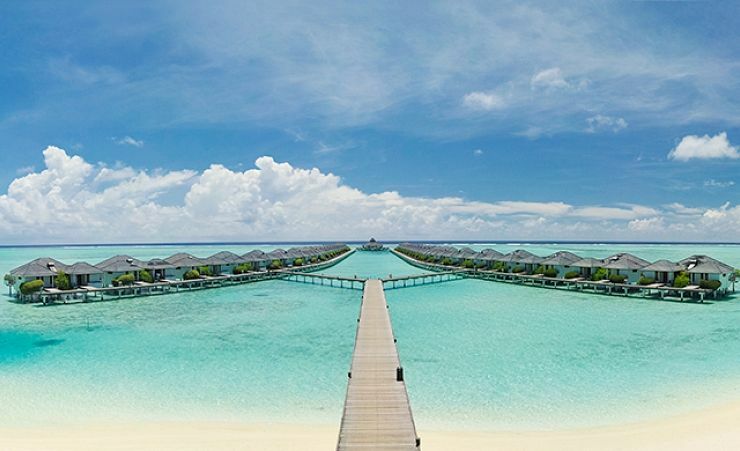 Set on stilts above the tranquil turquoise lagoon, our Maldives water bungalows truly embrace the island atmosphere of Sun Island Resort & Spa . 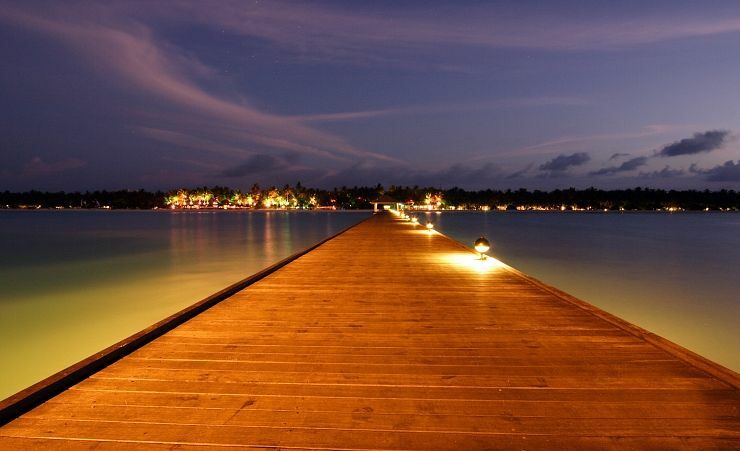 Large and richly furnished, these exclusive accommodations are accessed by a wooden jetty, creating the sense of a secluded hideaway apart from the rest of the resort. Take in the vast horizon from your personal sundeck, offering either sunrise or sunset views. Walk down your private staircase to enjoy a refreshing soak in the warm ocean water, which ebbs and flows just below your floor. 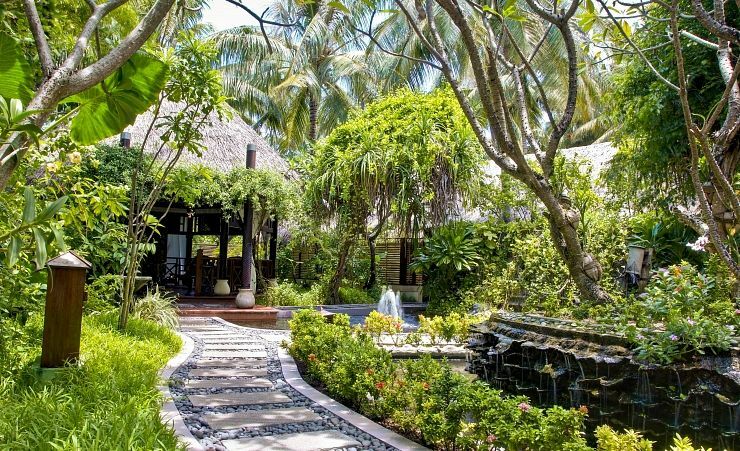 Offering a truly unique approach to island living, these Maldives beach bungalows offer one of the world’s most remarkable lodging experience. Max. occupants (adults + children): 2 + 2 Max. Adults: 3, Children: 2, Infants: 1 Max. extra beds: 1 bed(s). Double room rate based on: 2 Adults. Why not stopover for 2 nights in Dubai, Doha, Abu Dhabi or Oman? Staff were fantastic very friendly and helpful senior management did not reflect the same attitude as the staff. Food was excellent with plenty of choice. 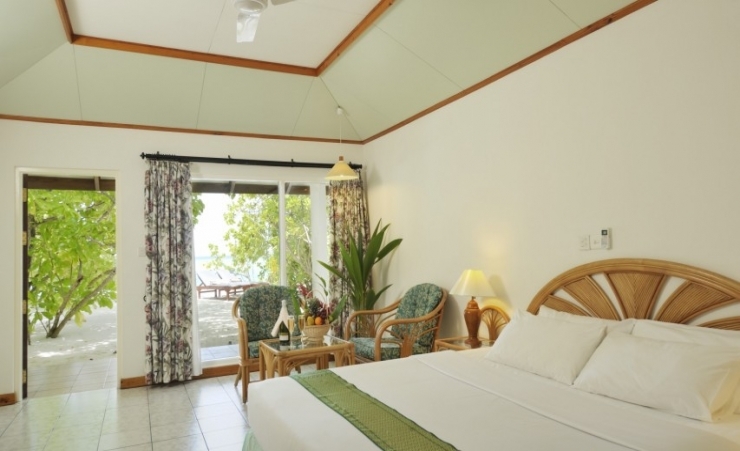 We had a beach bungalow which was kept immaculately clean by Elias, he looked after our room the entire time, he stocked our mini bar according to our preferences with our inclusive drinks. We had an all inclusive stay, the food changes everyday and the old favourites remain. Ramiz looked after us throughout our stay in the dining room. It was fabulous! From reception all the way through to bar staff, excursion staff, gardeners, gym staff, chefs and cleaners, we were treated like royalty, everyone is extremely friendly. We're not package holiday type people but the value for money was excellent. The resort was amazing. With plenty of activities if wanted. You could be as busy or relaxed it was your choice. The Spa was particularly good. Meal times were very good and being given your own table for the entire stay when going for the first meal. Made it a hassle-free experience, knowing you didn't need to look for a table each meal time. The selection and presentation of the food could not be faulted. Our waiter Rasmeed was excellent he could not have done any more, and so, made meal times a pleasure. It must be said that all the staff were friendly and made us very welcome. Thank you to all. Resort and accomodation were totally breathtaking. Ideal setting, beautifully maintained. Good selection of food.staff very helpful.facilities to suit all tastes. Level of customer care was unbelievable. All the staff had time for us and were so friendly and helpful which we have not come across before. This is our 6th visit to Sun Island and has always we loved the island.The staff and hospitality was amazing we were treated like vips throughout the holiday. Sun Island is a beautiful destination-fabulous. Thank you Mercury for our recent holiday we were very impressed with all of your services-receipt of tickets/all information prior to travel.